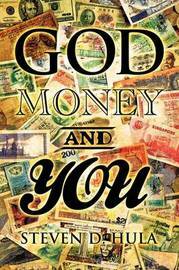 God, Money and You is a powerful book that presents God's design and plan for Positioning Money As Our Servant in service to Him. Financial abundance and prosperity with Great Peace is God's gift to those who will obey His Word regarding money. When we honor the LORD with our wealth, with the first-fruits of all our finances, then our financial storehouse will be filled to overflowing, and our investments will brim over with new riches. (Proverbs 3:9-10 NIV) But destruction and great unrest comes to those who do not honor the Word of the Lord God with their wealth. Therefore, to succeed financially in this world, Believers need to know how and where to Invest Money, Borrow Money, Spend Money, Tithe, and what to do with Tuition and Taxes. 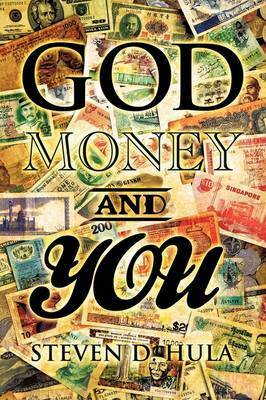 "God, Money, and You" is the Lord's guide and gift to bringing you and your family into Financial Peace and Abundance. Steven Hula is the President of Hula Ministries, Senior Pastor of River of God Church, Successful Business Owner, Christian Author, Professor and International Teacher. Hula Ministries span North, Central and South America where Steven Hula teaches and speaks to very diverse groups. Some of these include the highest political and military leaders and groups, Seminary and educational leaders and students, business owners and executives, and Christians Churches of all denominations. Over the past twenty years Steven Hula's personal life, businesses and ministry work have been transformed by revelation and obedience to the Word of God which has give rise to his various books.